12/19/2011. Administrative Order terminating the managed mediation program. 04/10.2013. Report of the Foreclosure Initiative Workgroup. 06/21/2013. Administrative Order on the Final Report of the Foreclosure Initiative Workgroup. 10/16/2013. Administrative Order on case status reporting requirements. 2011 Report Assessing the Florida Managed Mediation Program. The Report on Florida's Managed Mediation Program is now on-line. Managed Mediation Guidance. Read the Chief Justice's administrative order on guidance for managed mediation programs issued November 5, 2010. 2010 Interim Mediation Report. Read the December 28, 2010, Interim Foreclosure Mediation Report . For More Information: For information on foreclosure training and requirements contact your local circuits. A list of mediation contacts is also available. Chief Justice's Statewide Model Order. 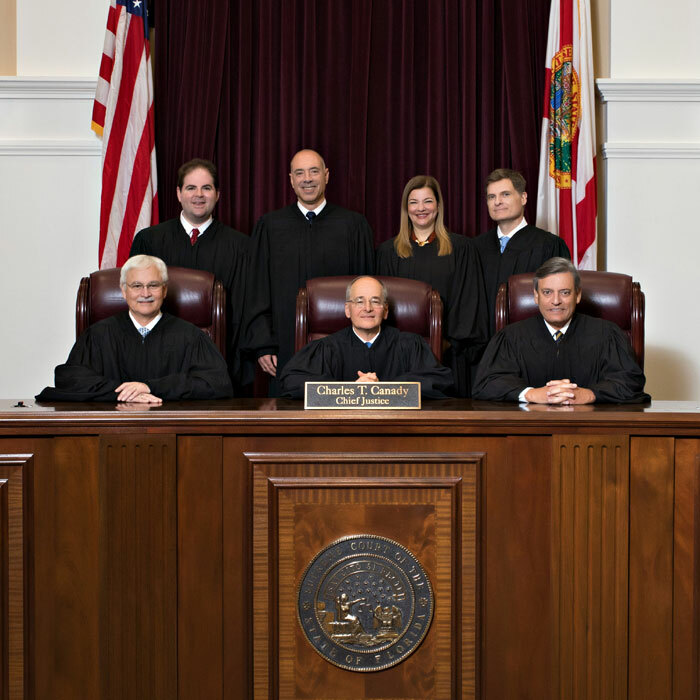 On December 28, 2009, former Chief Justice Peggy A. Quince issued her Order implementing a statewide managed mediation program in new Florida foreclosure cases pursuant to the Task Force's recommendations. Each of the 20 circuit chief judges now must adopt their own orders based on the model. Local Orders. Links to local orders or other information will be posted below as they become available in the 20 Circuit Courts. Recent Rules Amendments. See related Rules Amendments issued by the Court on February 11, 2010. New Rules Amendment Proposal. Read the Publication Notice asking for public comment in the Case on a new rule governing final judgments of foreclosure. Mediators. If you are interested in foreclosure mediation and are not currently a Supreme Court Certified Circuit Mediator please read the certification qualifications. Petition. The original Petition to amend the rules of court was filed with the Court on August 17, 2009. Comments were due by October 1, 2009. Oral Argument Case. Case number SC09-1460 also dealt with foreclosure issues. Task Force Final Report & Comments. The Final Report was released August 17, 2009. Appendices of the report are below. Comments to the Final Report are available. You also can view Filings made during the amendment process. Interim Report. An Interim Report was released May 8, 2009. Administrative Orders. The Chief Justice established the task force in March 2009 by Administrative Order in the wake of dramatic increases in residential mortgage foreclosure case filings. A separate order creating a Statewide Managed Mediation Program Assessment Workgroup was issued September 26, 2011. If a blank screen appears after you click on any of these links, hit the Reload or Refresh button on your browser.